Could any landscape be better suited to scrambling than Mexico’s? With its mountains, coastal sands, desert and forests all within easy access, the country almost seems as if it was designed by the gods as a reward for good motorcyclists. Add that relaxed Mexican approach to life, great beer and some of the world’s most delicious food, and you’d be nuts if you weren’t already on the phone to the travel agent. Except if you already happened to live there. 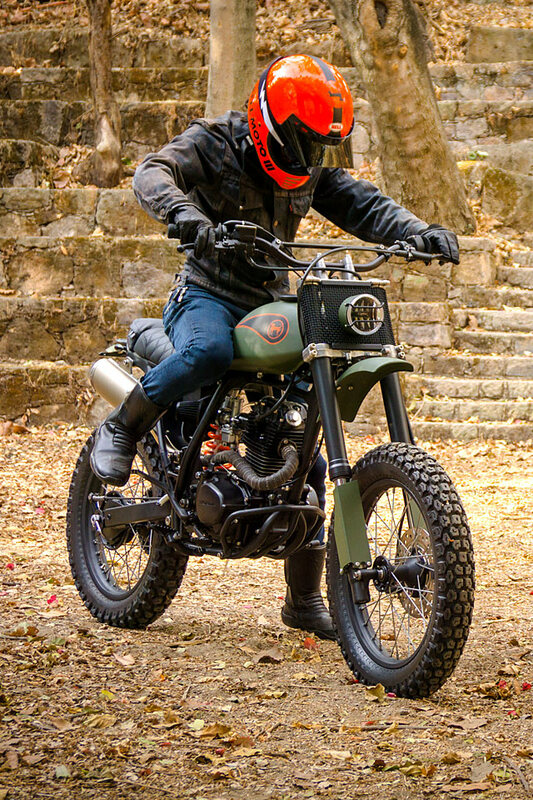 This enviable situation is one that Ricardo and the team from Guadalajara’s Catrina Motosurf have to endure every day and to celebrate it, here’s their idea of a perfect local Mexican scrambler. 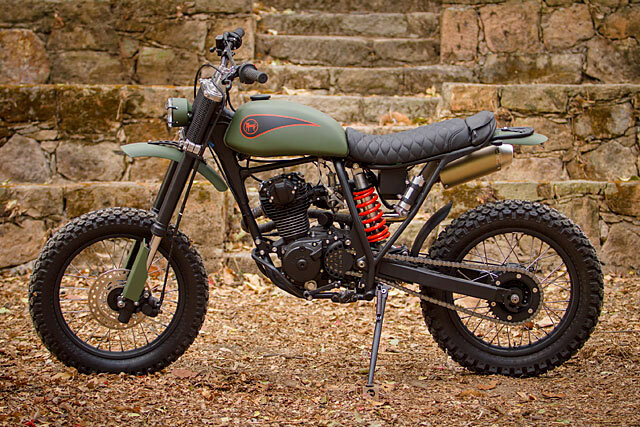 Everything started over 3 years ago, when Ric was looking for a bike to base his next project on. “Then I came across a beaten up Honda XR 200 from 1988. Not only did it look bad, but mechanically it was also in nasty shape. Of course, I decided to buy it anyway.” The project moved slowly due to the shop’s other big projects that were happening at the same time. Then all worked stopped for a few months while they were working on a new garage. Finally, after a lot of work and many bumps, they managed to roll up their sleeves and get to work on the little XR. 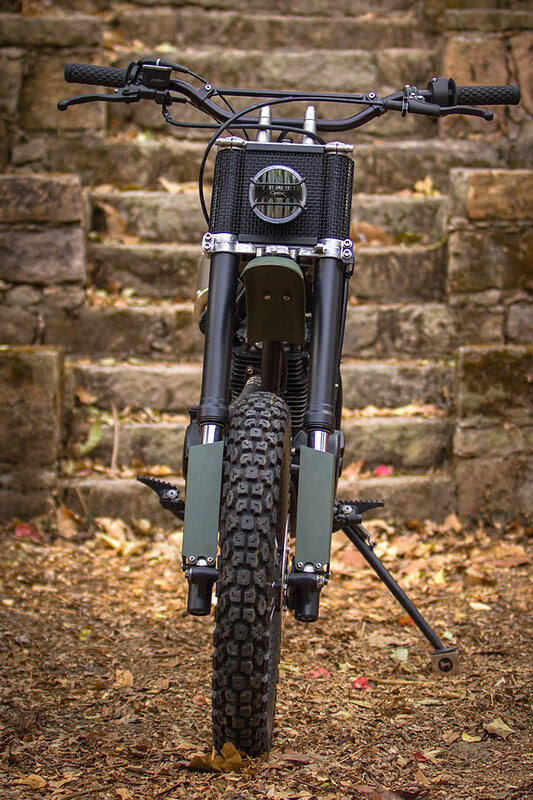 The overall creative idea was to eliminate all the plastic parts on the original bike and to replace them with bespoke metal ones giving it a more retro look, but modernising it’s handling and performance. 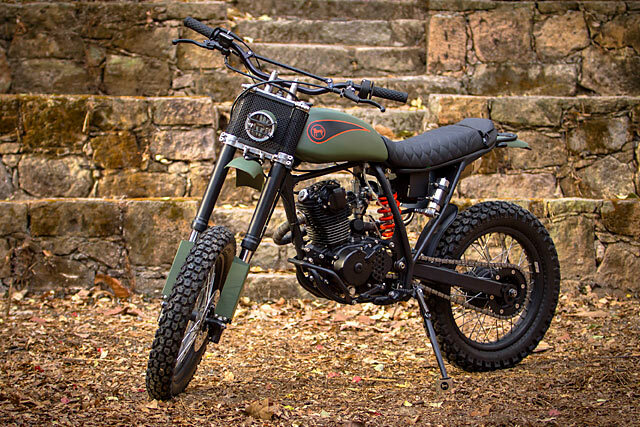 “We started by taking it apart and sandblasting the frame and engine. Then, after searching for quite a bit, we found a very nice gas tank from a 1971 Honda XL100. 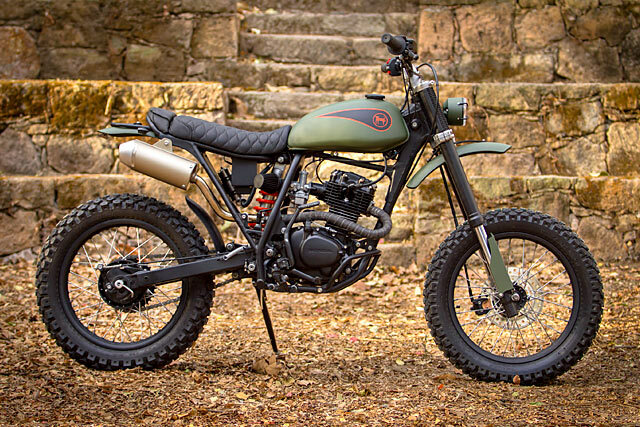 The original front forks with its 21″ rim and drum brake were swapped for an inverted suspension set-up with a 17″ rim and a disc brake from a Honda CR85. With this mod we also improved the handling, giving it a more ‘supermoto’ feeling.” The rear was then shortened and hooped, and by adapting the sub frame they were able to fit the new rear fender. Ric also added a small fender on the swing arm to protect the rear shock absorber and add to the overall look. Then a handmade seat was fitted to complement the new gas tank and frame shape. 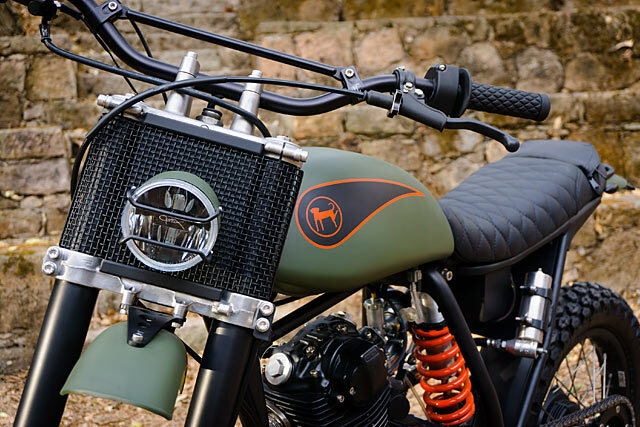 “For the front, we fabricated a grill made from stainless steel mesh and aluminum that works as headlight support and gives the bike a ‘racing number plate’ look but with a little more style. For the headlight we used an Optilux unit fitted inside an old tachometer and to finish it we hand-made two small aluminum bars that protect the glass. The new metal front fender is attached to the triple tree using an aluminum bracket made on our own CNC machine, and we also CNC’d the two protectors for the bars with billet aluminum. 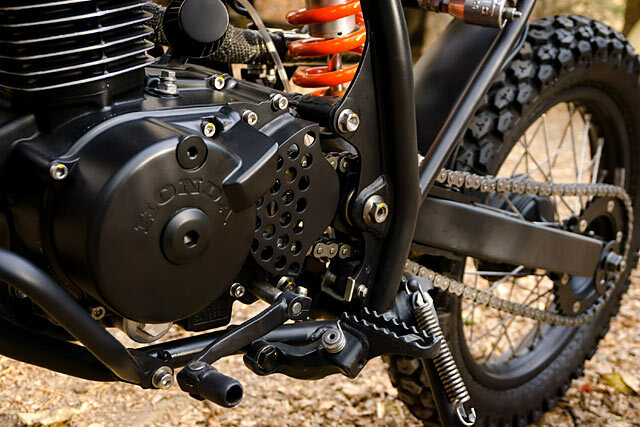 Next, a custom metal sprocket cover was added to the engine for protection. The front suspension was renewed and the rear was completely rebuilt, changing all the bushings on the linkages, changing the rear swing arm and rebuilding the shock absorber. The frame’s spare tabs were then shaved clean. The frame, rims and many other parts were powder coated in flat black, while the engine was painted with high temperature black paint while intentionally leaving some silver details in bare metal. 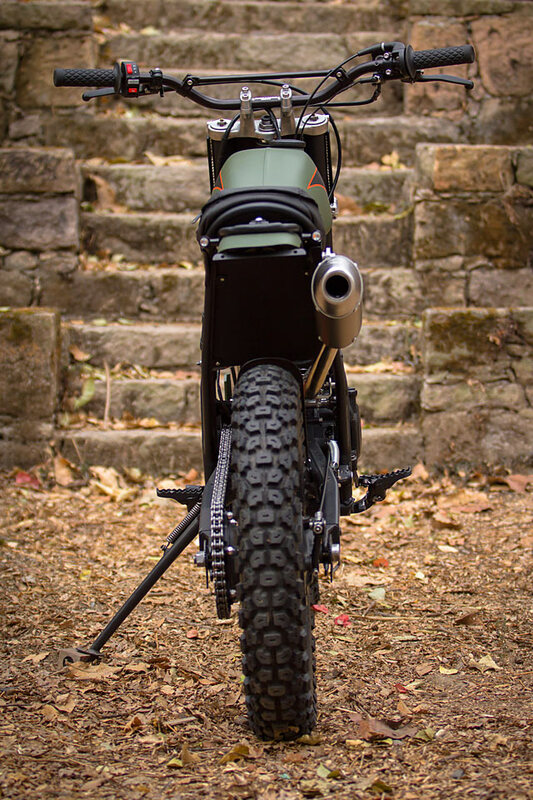 Ric’s final little touches included IRC Trial GP-1 tires, a Renthall handlebar, Biltwell grips and Rizoma Club S turn signals that also work as stop lights to complement the other finishes on this built.